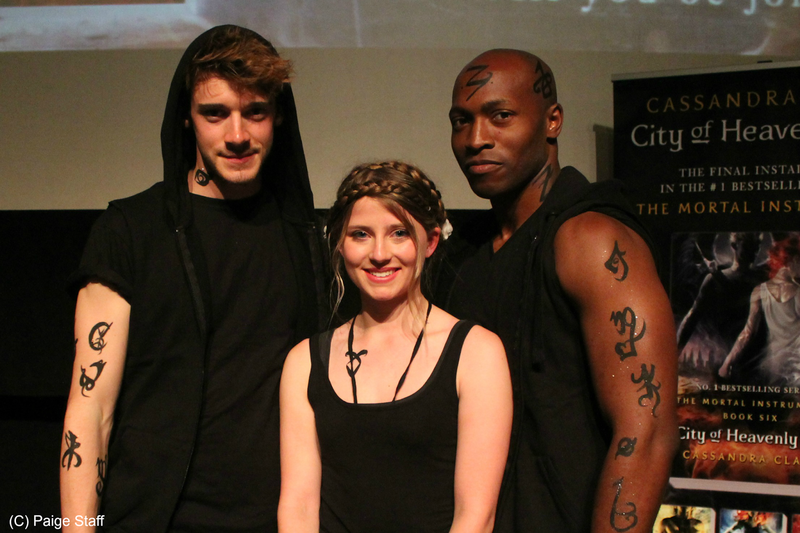 A couple of weeks ago I was invited to The Mortal Instruments: City of Heavenly Fire launch party in London. 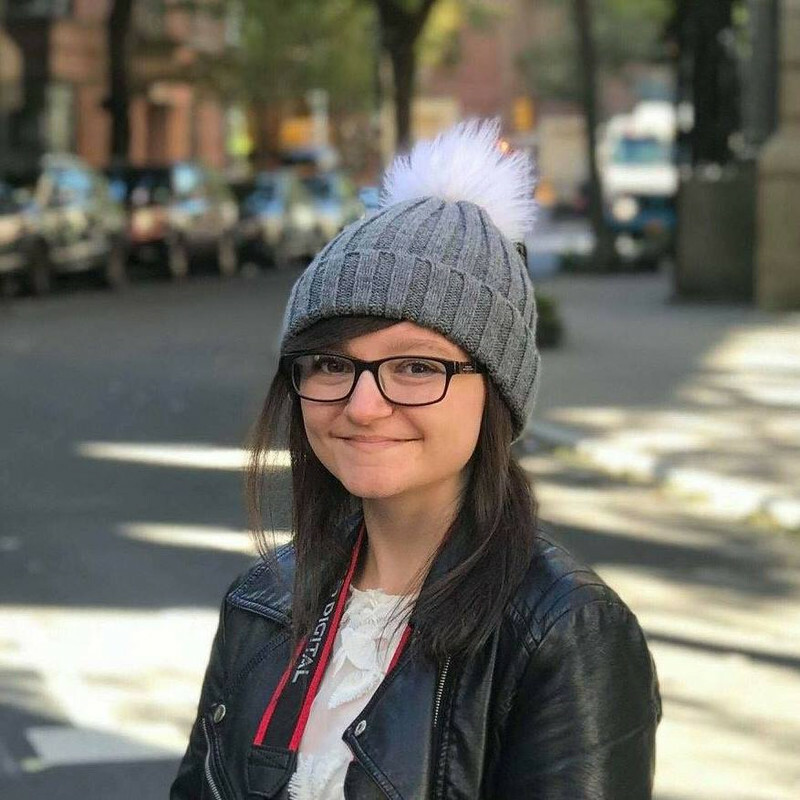 Unfortunately I couldn't go, so instead I held a competition and ended up giving my tickets to the lovely Paige Staff, also known as TheBritishBooktuber over on YouTube. Here is what she got up to at the event! 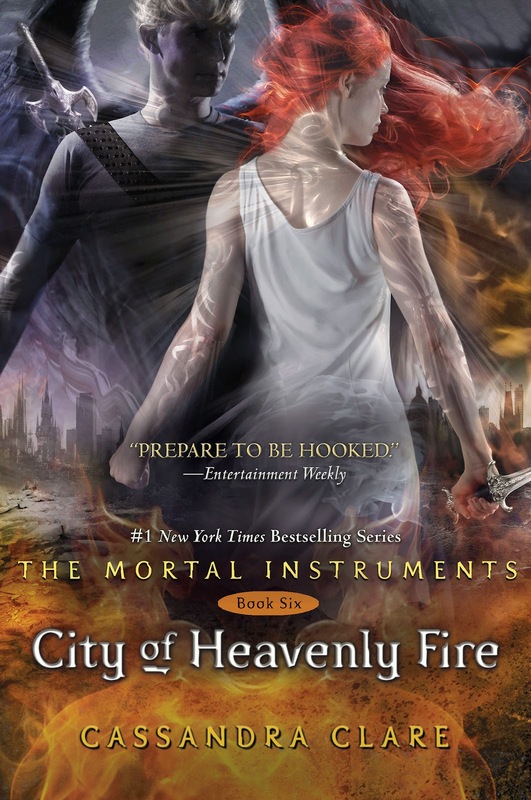 On Tuesday 27th May, eager UK fans of The Mortal Instruments series finally had the chance to glimpse and get their hands on the one thing every Shadowhunter around the globe has been waiting for: City of Heavenly Fire. 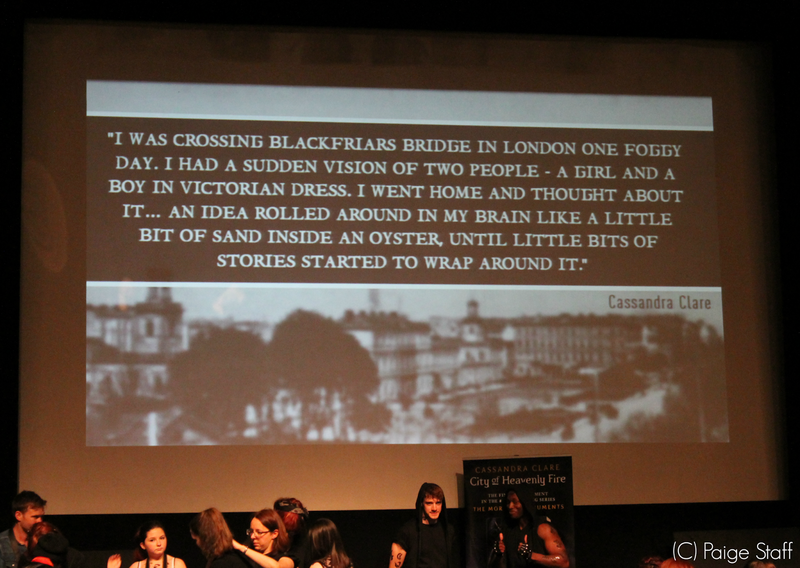 After 2 years of waiting, approximately 520 TMI fans queued outside the Bloomsbury Theatre, London to attend a special fan event, the City of Heavenly Fire UK Launch Party, in order to become the first people in the country to receive the final instalment of Cassandra Clare's bestselling series – and, thanks to Amber from The Mile Long Bookshelf, I was amongst them! 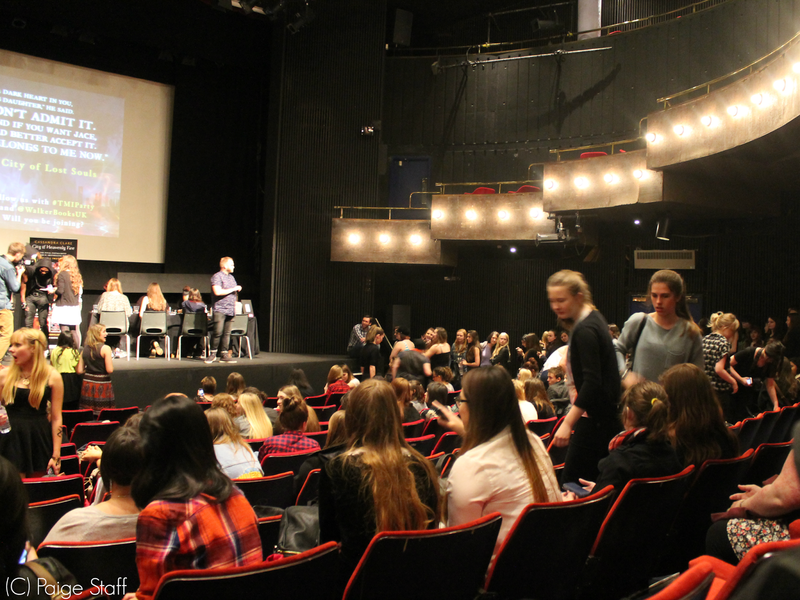 The launch party began at 1pm and the event itself was held in the auditorium of the Bloomsbury Theatre. In my case, I had never been to the Bloomsbury Theatre before, so this in itself was a new experience, but what was to come was even more exciting. For the first hour of the event, fans had the choice to queue up for one of three things. The first activity available was body art painting, where you were able to have glittering runes painted on your chest/arm/neck – personally I chose to have an angelic rune on my chest, a la Isabelle Lightwood from The Mortal Instruments: City of Bones movie. The second activity was rune nail art painting, courtesy of NAILS BY METS, who worked extremely hard to paint as many fans’ nails with black and white runes as possible in the one hour time slot. The third and final activity available was the 'Shadowhunter Selfie' where you were able to have your photograph taken with two guys dressed in typical black Shadowhunter gear and covered in runes. Only whilst I was having my picture done did I notice how all of the nail artists, body paint artists and even photographers were dressed in black or covered in runes; I believe that this was a real testament to the enthusiasm of Walker Books as not only did it help everyone to get into the TMI spirit, but it also showed how much everybody attending the event admired and respected the books and the work Cassandra Clare does. Whilst queueing for these activities, a slideshow of quotes from the books and relating to Cassandra Clare's thoughts on writing played in the background. At the same time, the MC was reading out tweets which people had written with the hashtag #TMIParty – and the hashtag actually got trending WORLDWIDE! At 2pm, everyone then took their seats to listen and watch an exclusive video message from Cassandra Clare, thanking everyone for coming, before she read an excerpt from City of Heavenly Fire. Unlike the prologue or Chapter 1 which were available to fans via the #TMITuesday, this reading was a random snippet from somewhere near the middle of the book, featuring Alec, Isabelle, Clary, Simon and Jace in a demon realm. It was the kind of excerpt where each character was gradually mentioned in turn, causing the entire audience to hold their breath, shout and squeal as each name was mentioned. 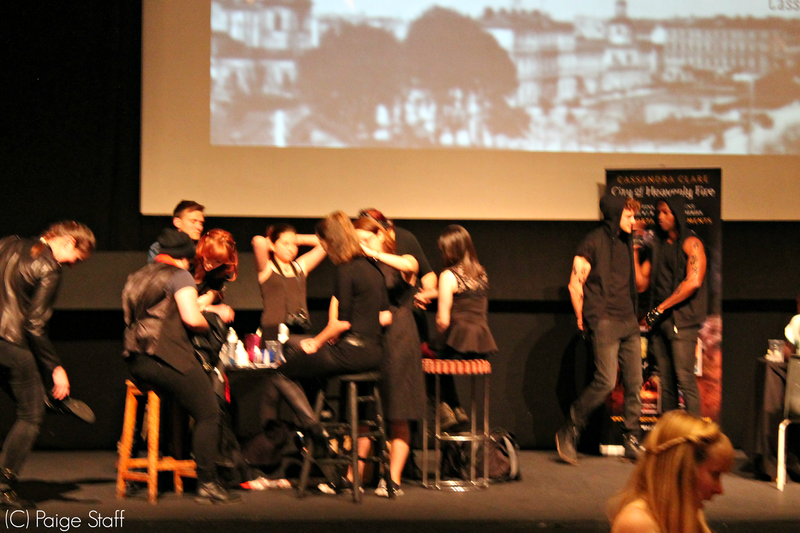 After the reading, a special fan film screening of The Mortal Instruments: City of Bones movie occurred, with Cassandra Clare setting the audience various tasks to do throughout the film (including): scream when Jace comes on screen; howl when you see Luke; boo when you come across Valentine. It would be an understatement to say that, as a TMI fan, I have seen the movie several times, but this fan film screening was unlike anything I had ever been to before. The crowd participation was incredible, the atmosphere was enthusiastic and electric, and it was almost unbelievable when you thought about how everybody sitting in the room was a fan of the books and loved them as much as you did. Once the fan film screening had finished, I finally received my early copy of City of Heavenly Fire in a Waterstones goodie bag. Not only did the edition of the book feature a full colour pull-out character poster, but inside the goodie bag we were also gifted with a cover art postcard and a journal from The Mortal Instruments: City of Bones movie (which included pages for you to write on, quotes and character profiles). My fangirl heart was certainly beating faster than a Daylighter could run. 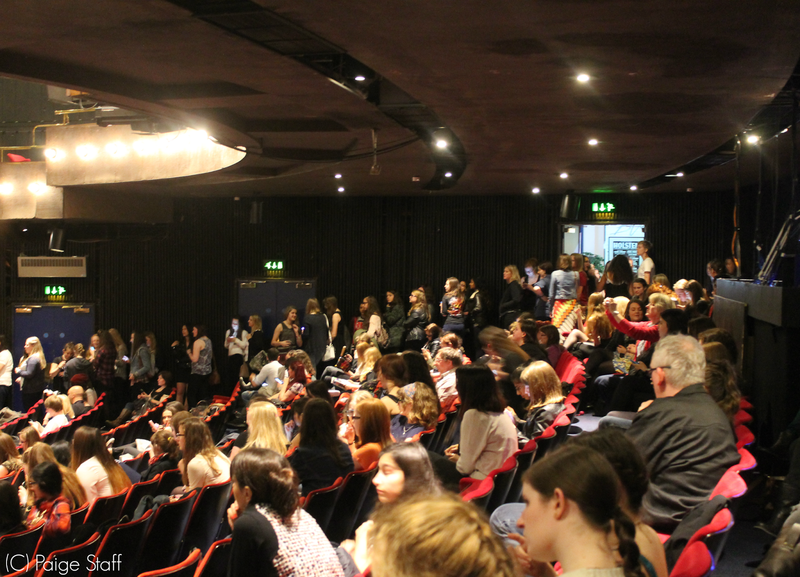 Overall, the City of Heavenly Fire UK Launch Party was an incredible, insane experience, especially as I had never been to a book or fan event like this before, and now I am certainly determined to go to a lot more. Once again, I would like to thank Amber from The Mile Long Bookshelf, without whom I would not have been able to attend the event! Fantastic report, Paige and Amber! 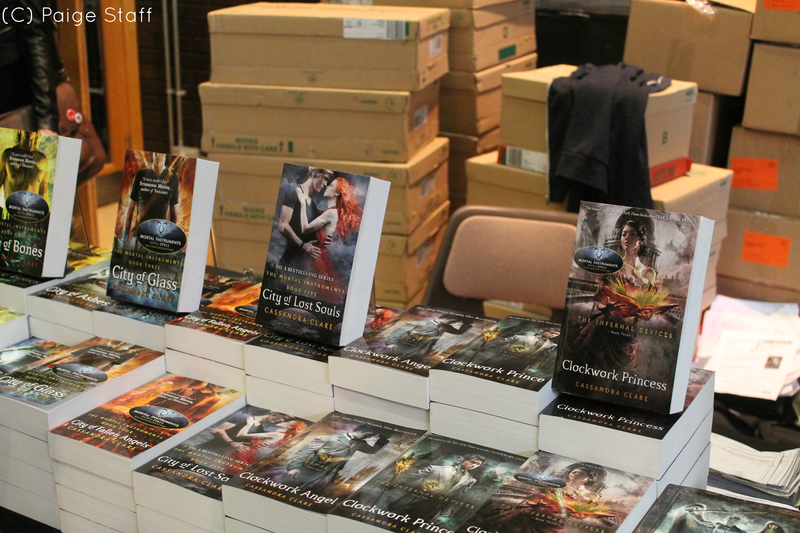 Launch parties are the best - let's hope everyone enjoys reading City of Heavenly Fire as much as you loved attending the event!